Vivian is a 8th grader this year attending Mr. Weyermuller's 8A class. She has two cats, both of which are featured on Falcon's Flyer (Honey and Onion the cat). Vivian loves Disney and participating in social justice rants with friends, and her favorite class is Math but her favorite subject is Science. She adores the book and 2005 movie Pride and Prejudice too! Vivian loves hanging out with her friends, Danay, Sophia, Vanessa, Dominic, and Daniel. 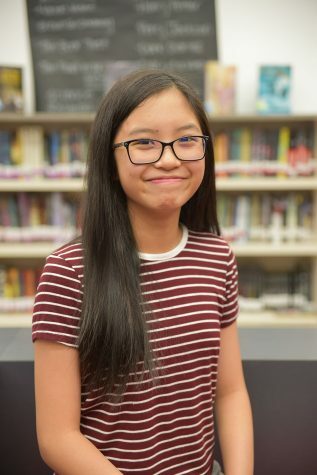 Aside from the Falcon's Flyer, Vivian participates in are Speech and Debate, the Rosemead Rapids swim team, Girl Scouts, volleyball, piano, and Academic Decathlon.